Kelly Ryan focuses her practice on commercial real estate due diligence for property acquisitions, loan refinancing and commercial leasing for multimillion dollar transactions across the United States. Additionally, she has experience dealing with post-closing mortgages, foreclosure litigation, mortgage modification negotiations, landlord/tenant issues and confidentiality agreement review. Kelly has represented financial institutions, private equity funds, real estate investment trusts and developers. Her work has involved various asset classes, including office buildings, retail properties, multi-family developments, industrial facilities and condominiums. 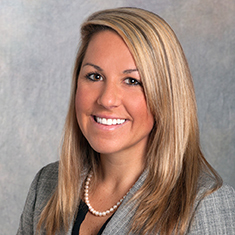 Prior to joining Katten, Kelly worked for RiverBanc LLC as a real estate analyst working with joint ventures, preferred equity and mezzanine loan transactions.